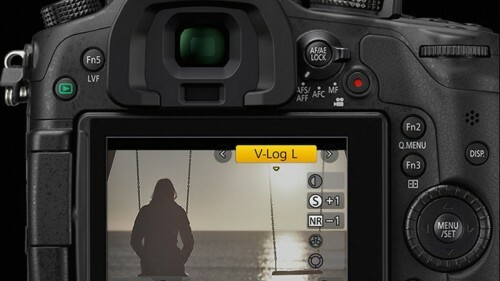 How to enable V-Log L on Panasonic GH4 – For FREE ! You are here: www.shivakumar.net > myViews > Videography > How to enable V-Log L on Panasonic GH4 – For FREE ! If you were one of those less fortunate people like me sitting in India/Asia and waiting to see when and if ever Panasonic would announce the availability of vLog (to purchase) for our Panasonic GH4 – then the most obvious answer is “We don’t know !”. People in US and Europe are fortunate because they will be getting option to buy the vLog sooner than later as the pre-order has already begun. 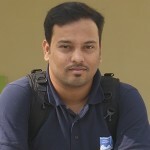 But fast-forward to 15th September, ’15 – some one knowingly/unknowingly figured out in a very simple and elegant way of getting vLog on their GH4 without having to wait till the serial key purchase/availability for the camera and for all practical purpose without hacking or introducing any thirdparty firmwares. The pre-requisite for this is simple and what Panasonic themself released which is a firmware v2.3 which enables few options to enter serial key for unlocking vLog. All that you need apart from your GH4 loaded with v2.3 firmware is your smartphone loaded with Panasonic Imaging App. Go to picture profile (ensure you are in Movie mode) and set V-LOG L.
Save V-LOG to C1 because else you will have to repeat the whole thing again. Not sure for how long this will work. Don’t update (disable auto update) the image app or they might remove it! As you see its more of like a bug which slipped into the app/firmware and what this would also mean is some bad phase of life for the people who were handed over the task of testing this feature. DISCLAIMER: I am not encouraging the use of this bug/workaround to get vLog – use at your own risk. Panasonic will probably shut it down soon or make updates to their app to ensure this doesn’t work or may be change their mind and release vLog for FREE. PS : Remember its not the 10-12 stops dynamic range, its the way you use it to tell the story will matter in the end !!! UPDATE : Spent some time over the weekend and shot some footage in vLog mode especially the nature related stuff to see how well it holds and also the noise aspect especially when shooting 800/1600 ISO – it was pretty impressive. Though this is not a very well planned test considering the fact that entire stuff was shot handheld and secondly the LUT that am using here is a Arri Log C which came along with FCPX and not a Panasonic VarriCam LUT. Most suggestions on forums pointed at over-exposing by a stop which will help both in latitude and also ETTR helps in reducing noticeable noise – which seem to work pretty well. Biggest challenge as shooting with anything using log is focus. Need to rely on punch in zoom to do accurate focus and doing that using a tiny 3″ screen on a sunny day is bit challenging.